Cadbury's Freddo bars price to go up to 30p and chocolate fans are not happy! 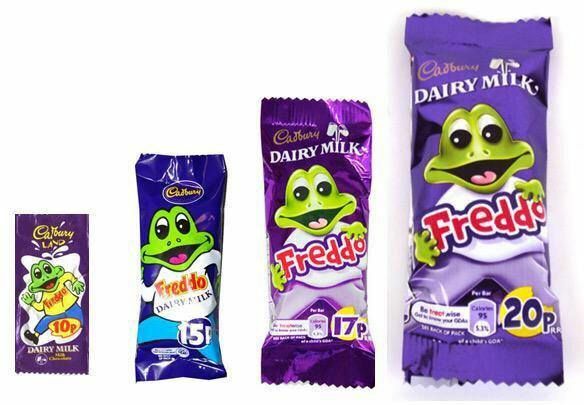 Brace yourself as we have some distressing news this Friday regarding another childhood favourite...Freddos are going up to an astonishing 30p! The 18g chocolate bar has been on sale for 25p, but many fans will remember when the budget Cadbury bar was 10p. Chocolate fans are not happy with the price hike and they have taken to Twitter to express their disappointment. The price hike from Cadbury owner Mondelez comes a few months after the company increased the gap between Toblerone peaks to reduce the weight. I remember when a Freddo cost 10p and you needed a wheelbarrow to get it home.